A passion to contribute to save the lives of 1.5 million children and improve the quality of lives of 663 million people world-wide earned third place for the Charles Sturt University (CSU) representative at a recent national research ‘pitching’ competition. The ‘5RP’ Five-Minute Research Pitch Program for academic staff in the early years of their research career held at the University of Southern Queensland on Monday 19 November gives researchers five minutes and only three slides to succinctly pitch a recent research project to the judging panel and audience. Lecturer in civil engineering in the CSU Engineering program Dr Miao Li (pictured) came third in the Science and Health Group for her pitch titled ‘Bring Clean Water to the World!’. The pitch explained her research mission: to use a simple, practical, feasible and affordable strategy to bring clean water to the world. Dr Li began her pitch by inviting her audience to imagine a very hot summer day, feeling very thirsty, trying to drink from a water bubbler … but nothing comes out. To contextualise her research problem Dr Li explained that across the world, 663 million people, including rural and remote areas and Indigenous communities of Australian, suffer from lack of access to safe water. “World-wide every year, 1.5 million children die from water poverty and waterborne diseases,” Dr Li said. “That is the number of zero to four year-olds in Australia at the 2016 Census date. “The problem we are trying to solve is to bring clean water, the most fundamental human right, to our brothers and sisters on this land, including regional and remote areas, and Indigenous communities in Australia. Dr Li elaborated that water resources are becoming so limited that wastewater is too valuable to waste, and that in developed areas, people use wastewater treatment plants to recycle wastewater. 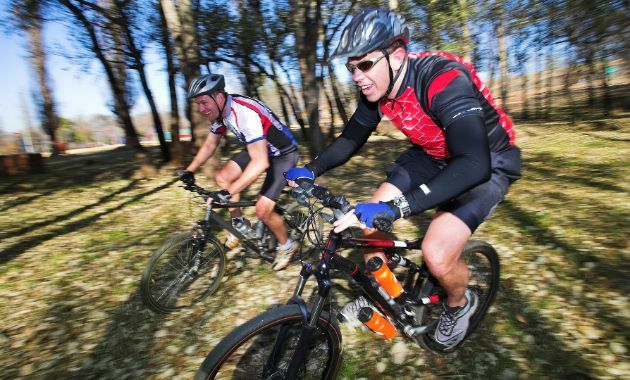 “However, this technology cost millions of dollars and is very demanding in terms of human power and technology,” Dr Li said. 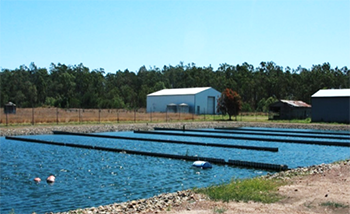 “For rural and remote areas, people have to resort to water stabilisation ponds, simply because ponds use nothing but the natural sunlight to kill germs in wastewater. “The ponds itself is also a very simple structure. The plan view can be simplified as a rectangle, one to two metres deep, the size of a football field, attached with an inlet and outlet. “Ponds are normally structured with baffles, which are corrugated cement-fibre sheets that go through the entire depth of the pond, to create channels to direct the water flow so that the water stays in the pond long enough to receive adequate treatment. To answer this research question, Dr Li and her research team collected water samples at the pond inlet, outlet, at various locations, and different depths within the pond. They also injected coloured dye into the pond and monitored the water flow. Using the data they collected they built a full, three-dimensional, fully-verified mathematical model (pictured). She said the equations may not look attractive to the audience, but to a designer the information derived from this model allows a pond to be built with optimal baffle design to achieve the maximum treatment efficiency. “It also allows us to analyse various baffling arrangement,” she said, asking, how many baffles do we need, and how long do we need the baffles to be? Should baffles be evenly spaced in the pond? “In fact, our research data showed that, applying the information derived from this model, a deadly pathogen, E.coli, can be removed by up to 99.99 per cent. Dr Li said she and her team will continue further testing and modelling to refine the research. “Our aim is to derive and propose a protocol and guidelines for governments and development agencies, decision makers, water authorities, and engineers, to implement and promote this simple, feasible and technically viable wastewater treatment strategy to benefit relevant communities,” she said. She also cautions that the pond technology is not presently able to provide water up to the quality of modern urban reticulated drinking water systems, and other treatment measures are required. Contact CSU Media to arrange interviews with Dr Miao Li, who is based at CSU in Bathurst. 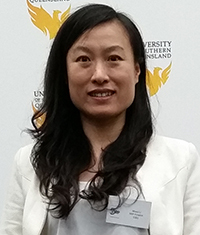 Dr Miao Li, CSU Engineering, represented CSU at the national final of the 5RP 5-Minute Research Pitch Program at the University of Southern Queensland on Monday 19 November 2018. Other participating universities included University of Southern Queensland, Central Queensland University, University of Tasmania and Victoria University. The overall winner was Grace Vincent from Central Queensland University.